That feeling when you’re trying to turn your lifestyle 180 degrees and each time you end up at 360 degrees… The return to the starting point will no longer be the case with powerful sport gadgets to land you a hand on the challenging journey to a healthy lifestyle. No matter if you want to reach ambitious fitness goals or simply set an easy start for implementing exercise routine. Some of them are for a multipurpose use, some are convenient and eye catching, some very straightforward, but exigent… As in any sphere invaded by high-tech the variety is enormous. Let’s kick off with a list of top spot gadgets to help you outperform your personal records. When it comes to sports and lifestyle – personalization is a key to reach greatest effectiveness. Go further than just data of you age, weight and height to outline personal based fitness plans. Innovative approach to health examination is there to provide an even deeper analysis using your genes. Use your DNA as a guide to the most suitable plan to achieve your goals. The DNA kit is sent to your doorway, simply spit in tube and post it back to the lab. 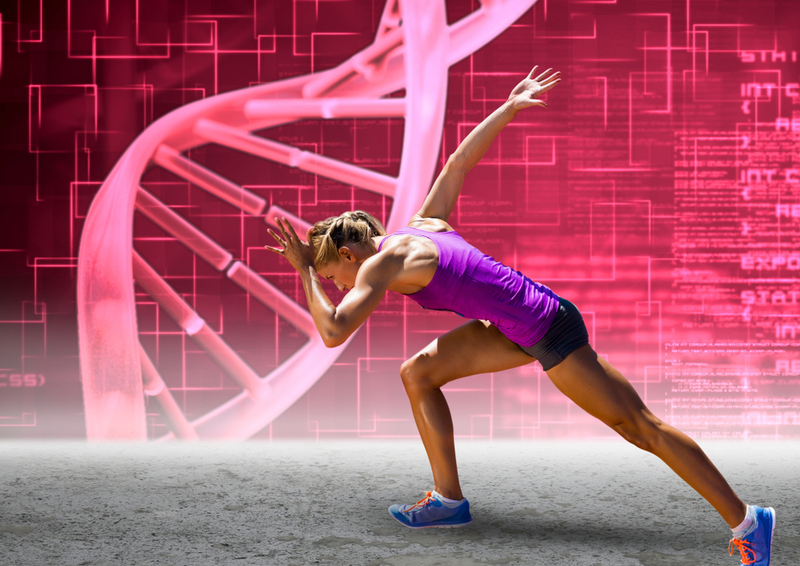 Soon enough, the bio-marker analysis will reveal your genetic strength and provide exercise and nutrition plan. Beyond the shadow of a doubt, your body will appreciate the support and show its gratitude with the best sport results and well-being. Another solution to help our body work effectively is drinking enough water. We all heard about it, but let’s be honest most of us are guilty of not drinking as much as necessary, well that is a self-taught habit to stick to. If you are aimed to live an active and healthy life Ozmo Smart Bottles connect to your smartphone and assist you with tracking the amount of liquids you consume throughout the day and features LED lights and vibrating alerts. Don’t try to trick the smarty bottle, as Ozmo detects if you put something other than water. It also tracks the consumption of coffee and as a plus keeps your morning energy aid hot. What about enough sleep? If you are staying up all night playing World of Warcraft, morning run will never happen despite the deal you’ve made with your conscience. The LYS Technology will get the regime down cold by measuring the light and track your circadian rhythm. The device will remind you to get enough of natural energy resource – light. Some people who are trying to get into the workout routine find physical activities extremely tedious. Especially working out at the gym or at home could be way too monotonous. The solution is coming soon! Blue Goji already developed a tool for a better fitness experience which will be available for the mass market soon. Add a spice to you workout! It’s for you to choose: competition, racing, fighting the evil, travelling to an immersive environment, dino fense... Whaaat? 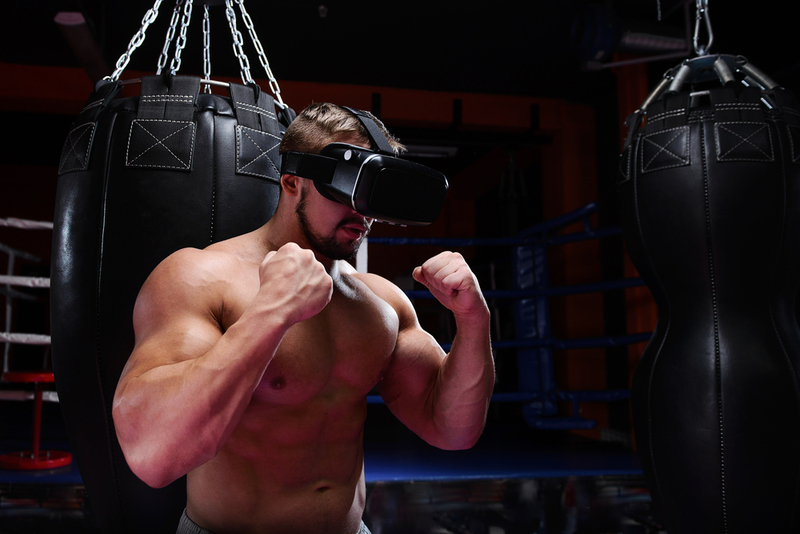 Start gaming in the gym, not on your couch with the virtual reality that provides adventures for various types of workouts. Level 80 will reflect in real muscles and physical endurance. The Vyper 2.0 by Hyperice is the tool used by athletes on daily basis. The device is not like any other fitness roller, it features 3 speeds of high-intensity vibration. Vyper recovers muscles after the training or warm up before the training with different vibrations settings. The tool also increases flexibility, motion range and circulation. 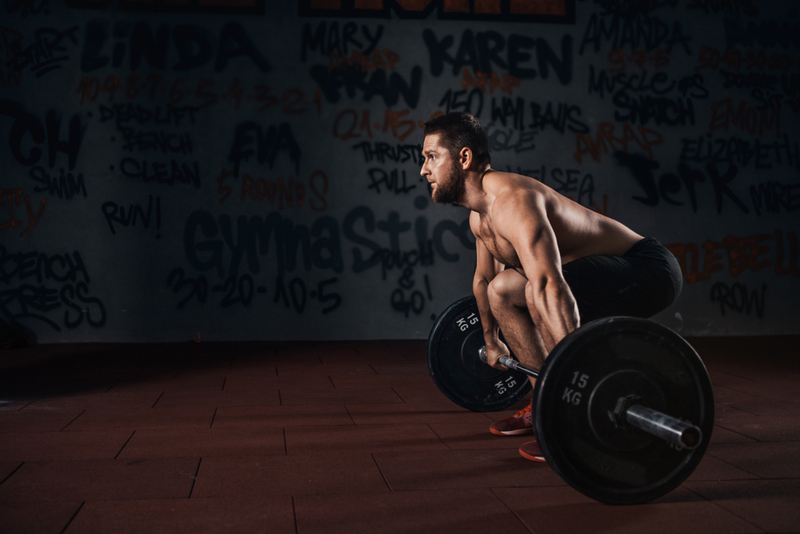 The use of the device as an after training ritual will leave post training muscle soreness in the past, so you can hit the gym the next day without excuses. The body will appreciate the massage, without any doubts. Safety is crucial for cyclers, no matter if you are an experienced rider or an amateur. Here are a couple of gears to enhance your visibility on the road. The first must-have for any cycler is a helmet. Obvious, isn’t it? So why is it stated in our list? Well, Lumos Helmet unlike other helmets is designed not only for the protection in case of crash, but can also prevent the crash in the first place. Wireless remote control indication system is ran by 48 LED lights. Another safety innovative gadget for cyclers also strikes as being a typical bike equipment. But don’t trust your first impression. A bike light by See.Sense ACE is able to track your journey and match the surroundings by changing its brightness and flashing regime. A bike light has more than 200 degrees of visibility and features theft alerts, crash alerts and brake lights. Road users will consider you as a savvy cycler who considers all the safety measures. Keen on cardio? Qardio is a device to get an insight of your health – track your blood pressure and cardiovascular system. The tracker is incredibly accurate and allows you to view detailed information of your heart health on your smartphone. Review the electrocardiograph after the training or after a frustrating work meeting. In case the figures don’t really tell you anything and there is a need for further results interpretation you can set data sharing with your doctor. And if the tracker encounters any issues, that doctor will be able to analyse the readout of your heart and suggest any additional tests for further improvement and disease prevention. Take care of your heart and it will let you achieve better sport results. Do you even lift, bro? 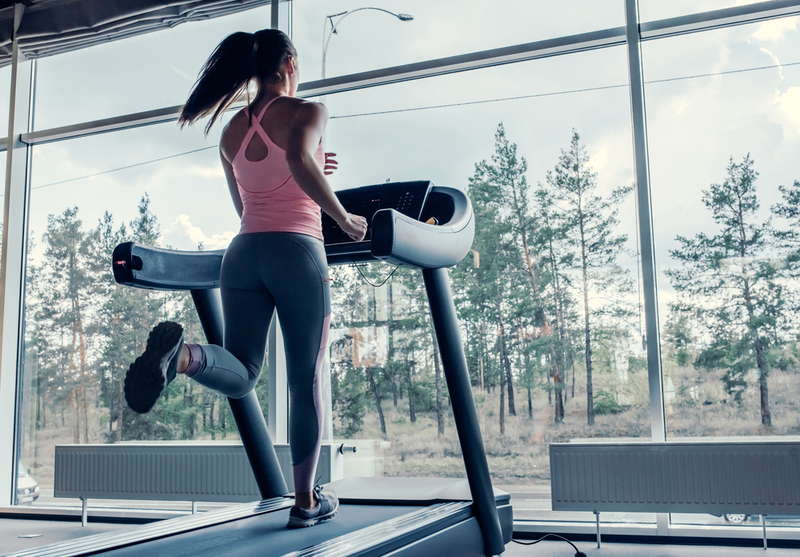 Real-time workout analysis tool tracks not only cardio sessions and run, but also has Lift sensors to embrace all sorts of training activities. When it comes to the result-orientated people or the ones who are keen on tracking the progress, the device by Lumo Bodytech is the gadget to have. Sensor clips to your clothing and provides up-to-the-minute statistics and highlights the areas for improvement. Football player? 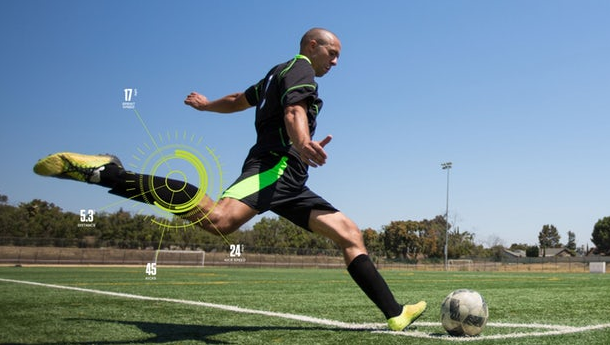 Get the Zepp Soccer Tracker turn of the commentary voice in your head and enjoy in-depth statistics of your play. The tracker’s battery supports 40 hours of playing time and makes the record of the amount of your kicks, how fast and how far you run and total sprints.